Everyone wants to be a Pirate...And our Pirate Flags collection includes authentic and unique designs to delight young and old alike. 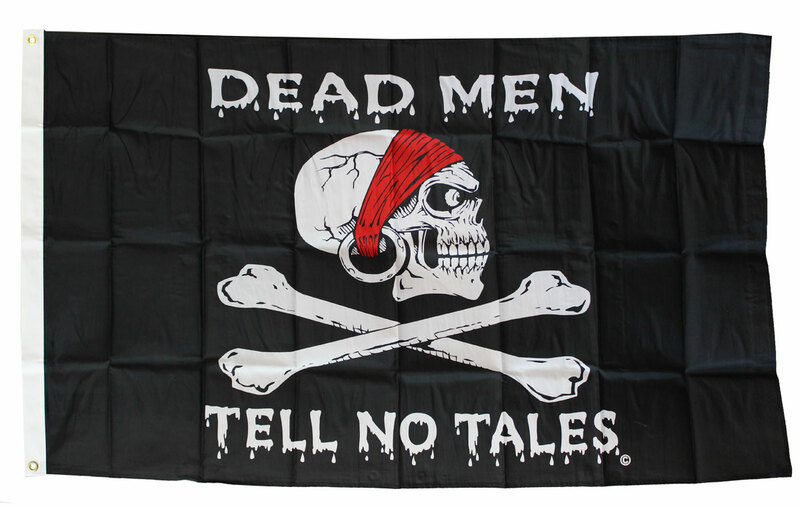 Dead Men Tell No Tales 3 feet by 5 feet flags are marine quality nylon, suitable for outdoor use with two brass grommets on the 3 foot hoist side. Manufactured by Flappin' Flags...Arrrghh Matey! !